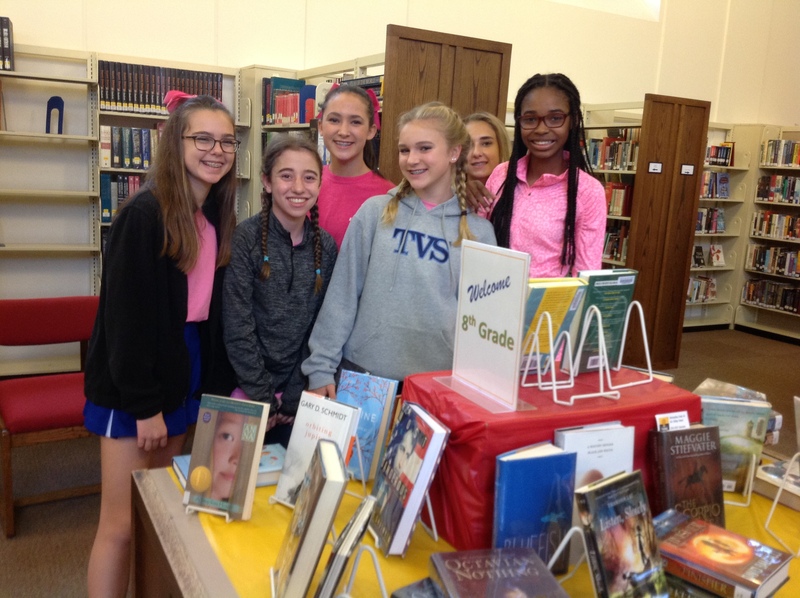 TVS 8th grade book browsers. Pink Out day supports community members touched by cancer. 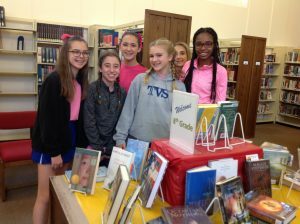 I bet you have heard this before: “I don’t have time to come to the library.” In our Middle School, 5th and 6th graders have an Academic Flex period that becomes a class in 7th and 8th grade. This replaces a 45 minute period they previously had for keyboarding practice, library visits, free reading and study hall. Sports become more time-consuming for some students. Add in blooming hormones, “too cool for school” attitude and our school’s rich selection of extracurricular activities, and time is a precious commodity. 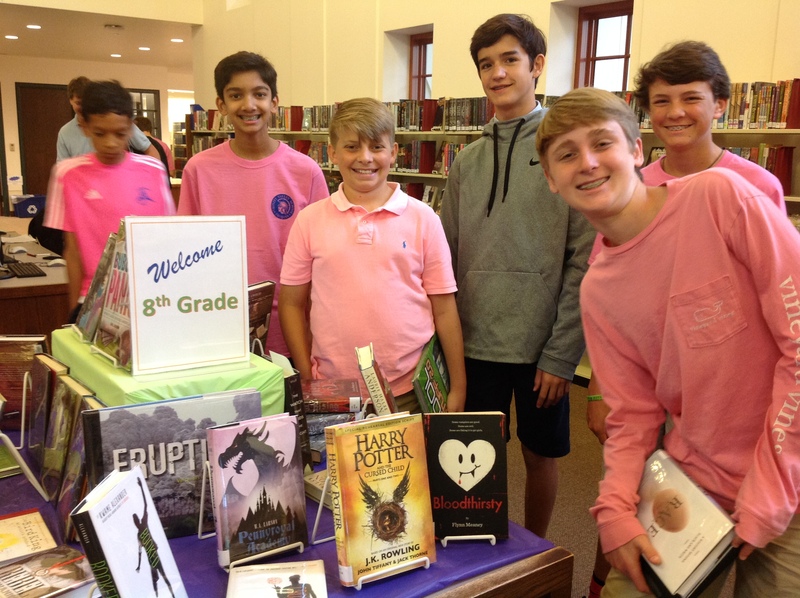 We’ve been able to schedule “Book Looks” for the 8th grade about every 3-4 weeks (so far). 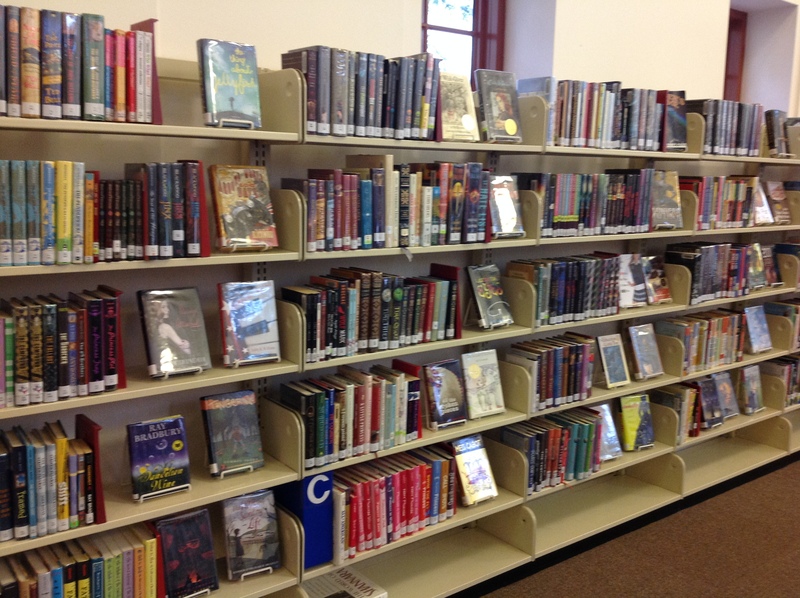 Our book checkout period is three weeks, so that works out neatly. We also take a “pop up library” (similar to Alyssa Mandel’s idea) to a weekly study hall. 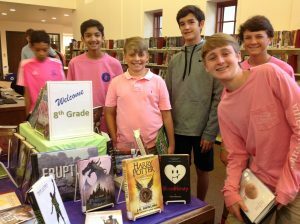 This gives another opportunity for 7th and 8th graders to check out, turn in, browse a few titles and get help with their library account. What’s Been Popular With TVS 8th Graders? 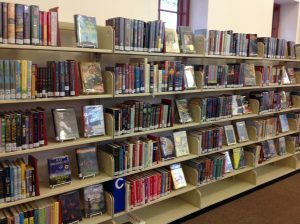 I’d love to hear what’s worked for you, in attracting teen and ‘tween readers!